Sandalwood oil is exotic and extremely pricey but is worth the money you invest. This oil has several known health benefits but is especially helpful for skin care. This article lists a few uses of sandalwood oil in sink care. Moisture Retention: Sandalwood oil is extremely gentle on skin and helps to retain the moisture of the skin. This helps keep the skin soft and supple. Oil Balance: Sandalwood oil is known to maintain the oil equilibrium of your skin. It helps in the regulation of oil production so that dryness of skin is prevented. Unlike several other essential oils, this oil never upsets the oil balance. Anti-inflammatory: Sandalwood oil is known for its anti-inflammatory properties and can be used to cure any kind of skin inflammation, itching and localized rashes. Anti-bacterial: This oil possesses strong anti-bacterial properties and hence, is effective in skin infections, psoriasis, eczema, pimples and acne. It can be used to heal minor cuts and wounds. Direct Massage: The oil can be directly massaged on skin. However, some people may have hypersensitive skin and may require dilution of the oil. Adding some jojoba oil to the sandalwood oil will prevent adverse reactions. 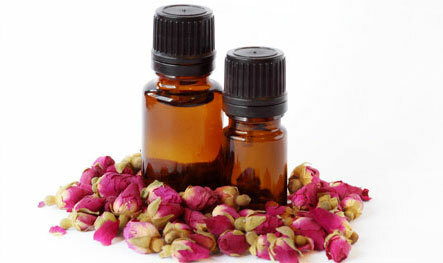 Massage Oil: A few drops of sandalwood oil can be added to the regular massage oil for whole body massage. It will not only keep the skin hydrated but will also give a soothing and calm feeling to the mind. Steam Inhalation: This is basically used for two reasons – (a) to deal with respiratory issues and (b) to deal with facial skin problems like pimples, acne and others. Add a few drops of the oil to steaming water in bowl. Place your face over the steam and cover your head, face and bowl with a clean towel and inhale the steam. Inhalation helps to deal with respiratory issues while the oil particles with steam helps to clean the facial skin and cure certain facial skin problems. Against Pimples: Take a tablespoon of turmeric powder and add 2-3 drops of sandalwood oil. You can add up to 7 drops depending on your skin sensitivity. Add spring water or rose water (avoid rose water if you have dry skin) and mix well. Apply a thin layer on your face and let it dry for 20-30 minutes. Rinse off with lukewarm water and use a soft towel pat your skin dry gently. Apply 2-3 days a week. Pimples start shrinking within 48 hours of first application. Against Itchiness, Rashes and Inflammation: Add 2-3 drops (up to 7 drops) of sandalwood oil to one teaspoon of turmeric power and add one teaspoon lime juice. Mix well. Apply the mixture on your affected areas and leave for 30 minutes. Rinse off using cool water and use a soft and clean towel to pat your skin dry gently. Itchiness shall go very quickly while swelling or redness may take some time. Disclaimer: This article is for information purpose only. If your skin problems are persistent and are in a state of continuous deterioration, consider consulting a dermatologist before using any of the recipes mentioned above.